The AMX-13 is an early Cold War era light tank of French origin. It was developed in the late 1940's to equip the post-World War 2 French forces. The AMX-13 proved to be a highly mobile and effective light tank in combat. 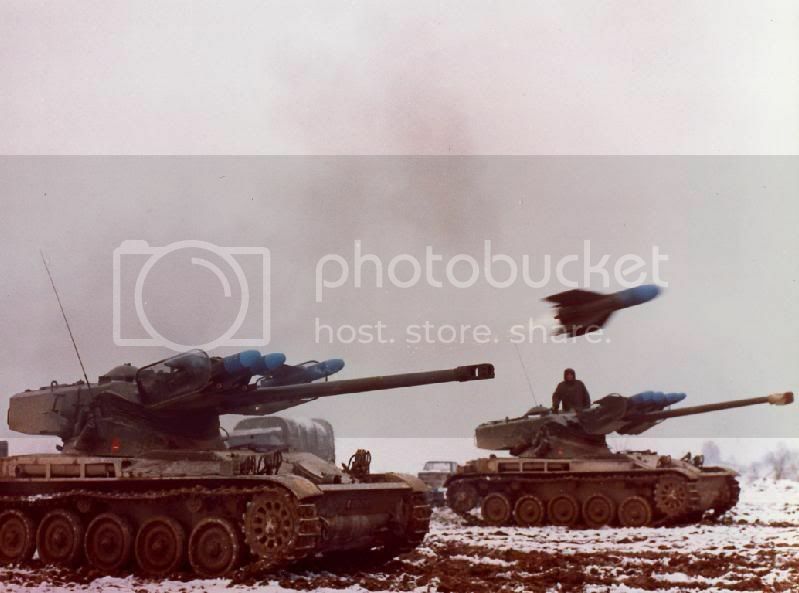 By the end of the Cold War the AMX-13 became obsolete due to age and the advent of highly capable anti-tank guided missiles that fill the role of highly mobile tank destroyers. The AMX-13 uses a unique oscilating turret design. The cannon is mounted on a fixed cradle and the entire top half of the turret is hinged to proved elevation. Over time the AMX-13 design was upgraded with various turret types and other types of equipment. The steel armor provides protection against small arms fire and shrapnell all around. Over the frontal arc heavy machine gun fire is resisted. Smoke grenade launchers are fitted as standard. An NBC system is optional, but not present on most AMX-13 models. The tracked chassis, limited weight and high power to weight ratio result in a good all terrain mobility. A 250 hp petrol engine provides propulsion, allowing for a maximum speed of 60 km/h. The AMX-13 is not amphibious. AMX 13/ 105 modele 58 fitted with a 105mm Gun in an FL-12 turret. I make this post because, my father was working in the industries who build the FL12 turret, in north of france. So i have officials documents about the FL12 turret. This AMX version was develloped in 60-70's and can complete the french tech tree. This AMX 13/105 Turret FL12 can be a good premium light tank for french tech tree. It's not from late coldwar btw. The AMX-13 105 modèle 58 was made as early as late 50s for Netherlands, with the FL-12 Turret. The tiers V might change a bit with the addition of ATGM vehicles (France was damn good as those in the 50 and 60s), but I think it will keep it's place. Why premium? It was mass produced. I can't wait until the French GF tech tree gets added... especially because of French post-WW2 light tanks. I was proposing a premium because it's mainly an export tank. Interests:WWII (History), Tanks, TIGER TANK! no amx french crap, no fast reloaders like world of tanks. 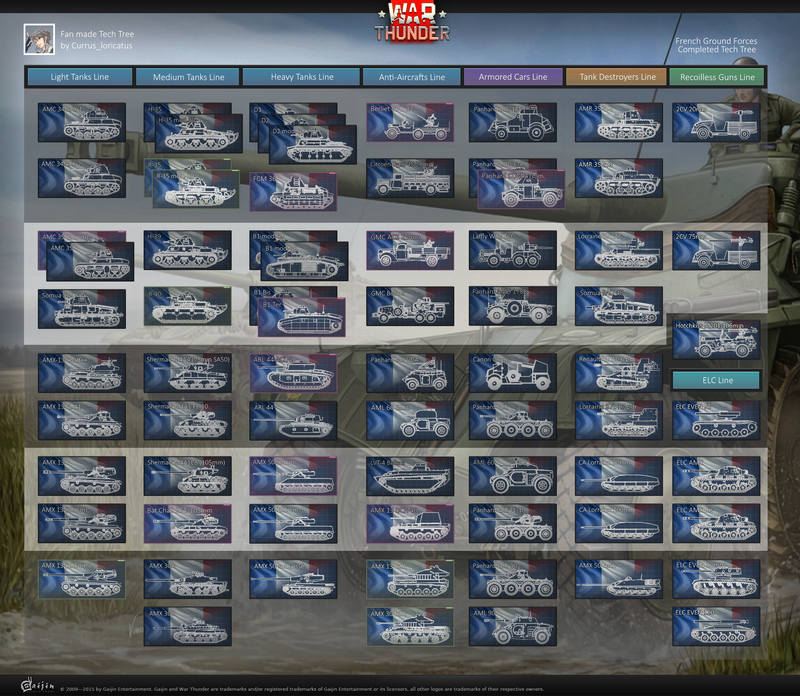 War thunder is warthunder and no world of tanks! Even with French autoloaders, War Thunder will still be much different from WoT from a gameplay perspective. Why people are afraid of amx and is autoloader ? amx tank series have paper armor ! so any tank, even planes with just above 20 mm canon and artilery barrage can kill him easy and quick !! War thunder is not world of tank whith a pool of HP, you can't run every where in map like fast and furious and fire in mouvement. Auto-loaders don't give you pretty much any advantage if you're one-shoting enemy vehicles and if you're killing the gunner it doesn't matter if your reload takes 3 or 8 seconds if you can finish the vehicle with your next round. WoT autloader are utterly unhistorical. In real life, A AMX-13's autoloader have a quite important time between the shells, five seconds on the 13-75. But this is not the worse part. Interests:Aviation, history, beautiful women, and the Cheeki Breeki most of all. The AMX 13 (although usually modernized) are still in active service today in some countries. 360 mm of HEAT penetration with 105 mm gun is more than enough to destroy any Soviet rank up to T-64, which has an early composite armour, so it won't get into the WT (despite entering the active service earlier than Leopard 1 and Chieftain). T64A had composite armor on both Hull and turret and is a tank that no tanks could actually destroy in game frontally unless aiming for the LFP or at relatively close range for the Cheiftain and Conqueror gun which reliad purely on KE to kill and not chemical energy. AMX 13-90 would perfectly fit into the game as a 7.0 light tank. So we can add amx 13 Nord SS.11 easily in french tech tree. More seriously, Yes, the AMX-13 modèle 58 would be a damn nice 8.0 tank (As it is currenctly on the french tech tree project). SS.11 ATGMs were put on AMX-13-75, yes, but apparently also on some AMX-13-90 during the 70s. The second prototype, with triple launchers, but better guidage systems. So many missiles, so little time. Good for you ;)s , I love French post-WW2 tanks, especially the AMX 13 series, Bat. - Chat. 25t and ELC AMX series. Those armoured cars with oscillating turrets also look amazing. I hope we'll get the French tech tree soon. More seriously, Yes, the AMX-13 modèle 58 would be a damn nice 8.0 tank (As it is currently on the French tech tree project). Absolutely no doubt about it. The only problem seems to be relatively weak power to weight ratio. Good to know, was it only prototype or were they made in some interesting numbers? I've read a little about that ;)s Looks cool though. Do you know how much penetration did HOT 1 missiles have? I don't know how many AMX-13-90 were fitted with SS.11. I wouldn't be surprised if it was in great number, it's a quite easy modification. HOT 1 have, theorically, 800mm of armor penetration (On RHA) at all ranges. Indeed it is, you just need to add those missile launchers with a little bit modified attachment and a navigation equipment, which should be pretty much same as on the 75 mm version. So in that regard they are equal to the British Swingfires... I've expected similar value. Always yes for the French tanks and the French tree!!! Looks like we're getting SS.11 ATGMs in the game next patch... in a British tech tree. Yes ! +1 from me !